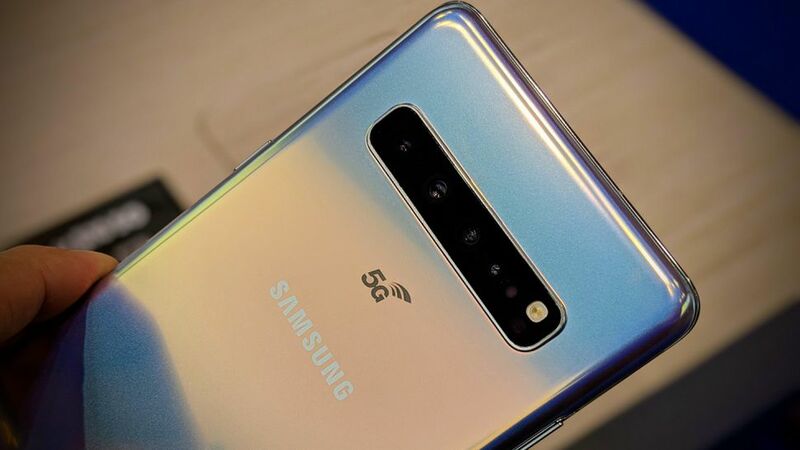 The sale of Samsung Galaxy S10 5G will start in South Korea next week from April 5, 2019. The price of the Samsung Galaxy S10 5G variant is revealed through a report. Its 256 GB storage variant is priced at 1,390,000 South Korean von (84,600 Indian rupees AND $ 1,223) and 512 GB variants can be worth 1,550,000 South Korean von (94,400 Indian rupees And $1368). Samsung has partnered with LG Telecom to launch Galaxy S10 5G in the South Korean market. before the Mobile World Congress, 2019 (the MWC 2019) Galaxy S10 5G was screened but the company did not provide information about the price of the phone. The ETNews report has revealed that Samsung Galaxy S10 5G will have two variants - one with 256 GB storage and another with 512 GB of storage. Samsung Galaxy S10 5G's 256 GB storage variant. 1. 256 GB Variant: 1,390,000 South Korean von. 2. 512 GB Variant: 1,550,000 South Korean von. What do you think guys About Samsung Galaxy S10 5G Price it's fair or not. say us in a comment.